One of my favorite things to do, is hang out on the front porch with my hubby. air. There is a calm to sitting on a swing and watching the outside world go by. This was the front porch when we got the house. It measured 20' x 3'. There wasn't a whole lot of room and or overhang to really enjoy sitting there for long. making it an overall 20' x 10' outdoor living space. to support the roof line. I took that brick down carefully, so I could reuse later. The old sidewalk lined up with the previous front door, so that was taken out as well. This view shows how much space we gained. Here you can see all the bricks that were saved from the side walls. Once the floors were formed, we began to extend the roof line. We matched the shingles of the roof to create a seamless addition. The front sidewalk needed to be lined up with the new doors. 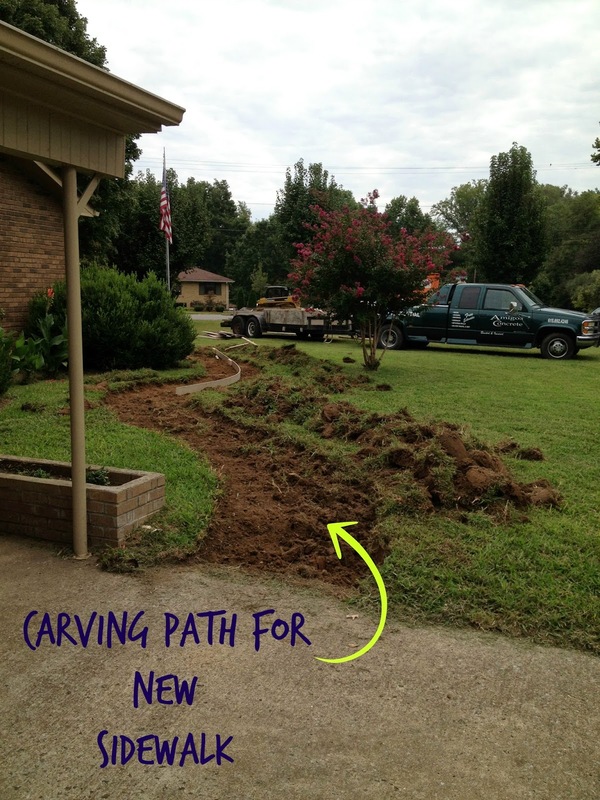 The other side curved around the house to reach our driveway. We were excited to give our guests a solid place to walk to our beautiful new front entrance. My boys enjoyed watching the trucks poor the cement and fit it into the forms. 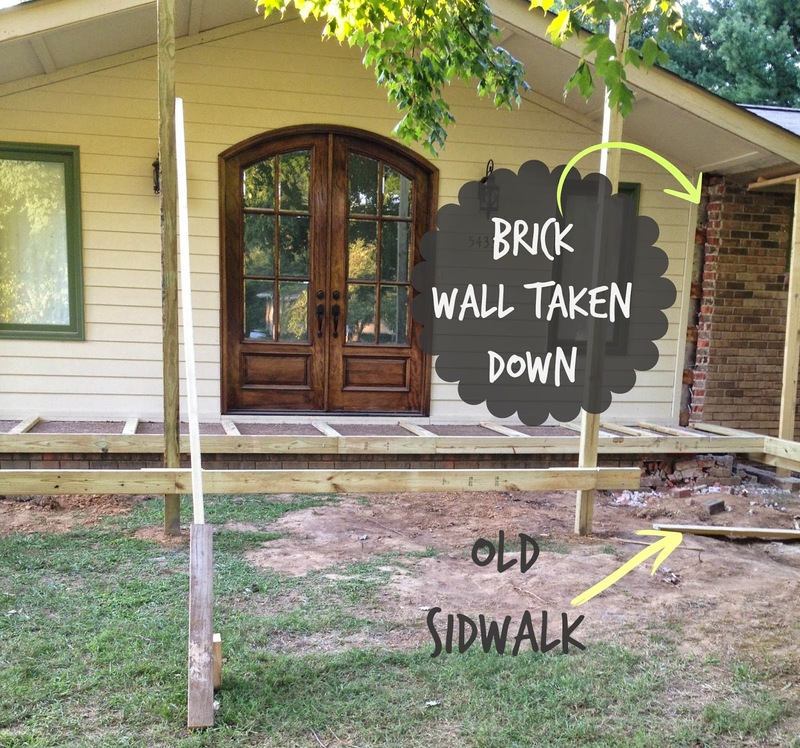 The new sidewalks in place, grass seed put down, and the brick that I saved was relaid along the base of the new porch. All that was left was to paint. I chose a red for the ceiling. I put 2 coats on before my contractor put them up. Then I used his scaffolding to put another 2 coats ~ as red needs to be saturated to look right. Tip: Anytime you paint a dark color, use a dark primer. Your paint store will direct you on which to use. On one side we added a much needed swing. The other side got an outdoor furniture grouping. We love our front porch and it has been one of our favorite places to hang out. you can enjoy your spaces even more. 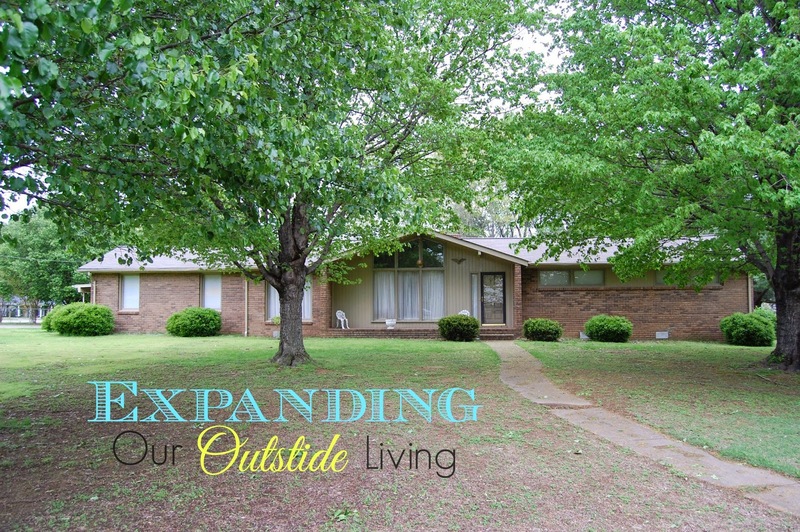 Having an outside space to rest and reflect is a perfect addition to any home. Love this Becca! 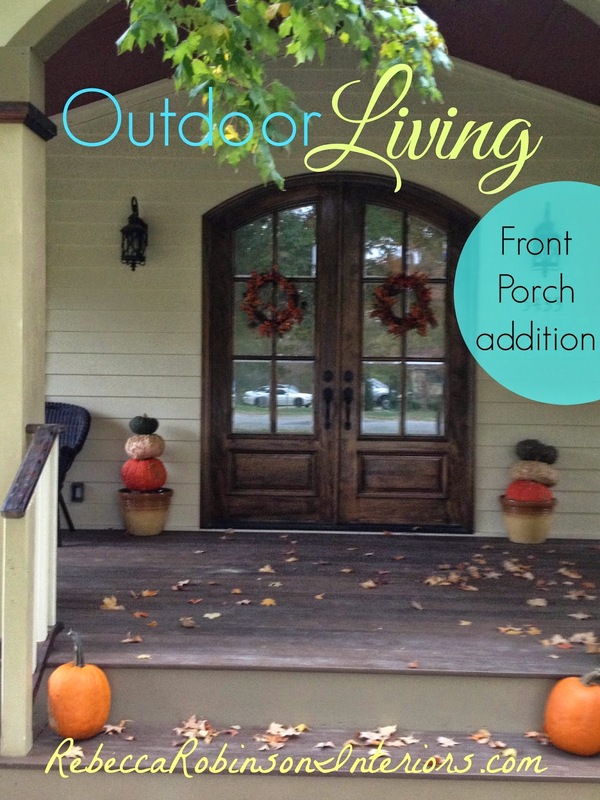 What a beautiful remodeling job and to be able to enjoy your front porch is so relaxing. Thanks Cynthia! It is definitely our favorite room!